Ingredients: Chinese white tea, Fujian provice. Taste: delicate and light notes vanilla and pollen. Product highligths: Original history of white tea goes to Fujian provice, where main push for developing this unique tea was given by Song dynasty emperor. 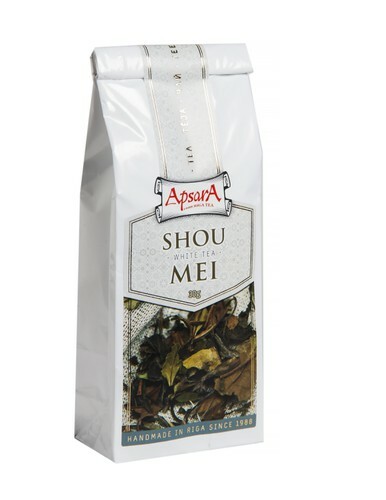 Shou Mei in translation – eyebrows of longevity is a third grade from special tea bush variety – Da Bai or Great White.